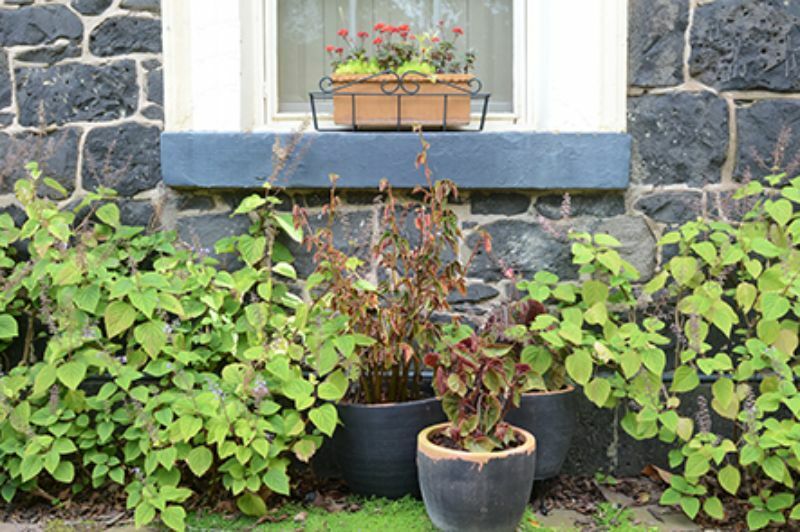 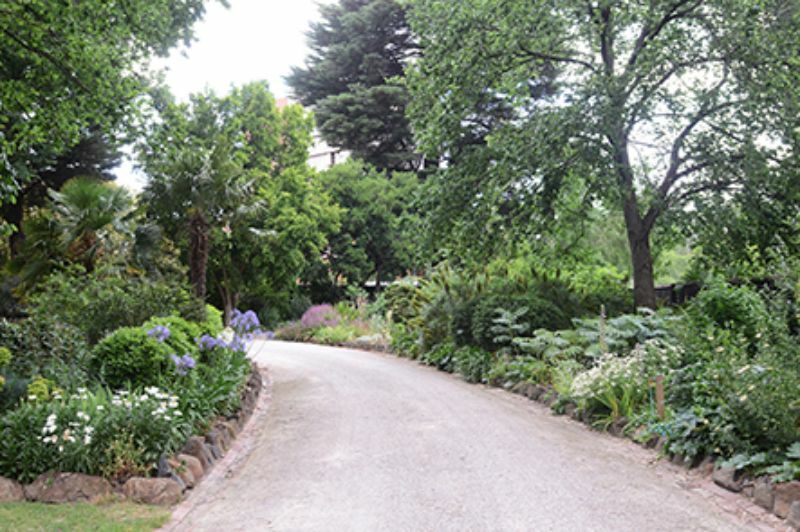 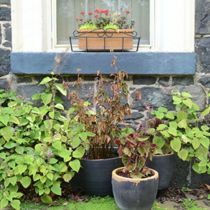 Bishopscourt has a very special place in Melbourne’s garden history. 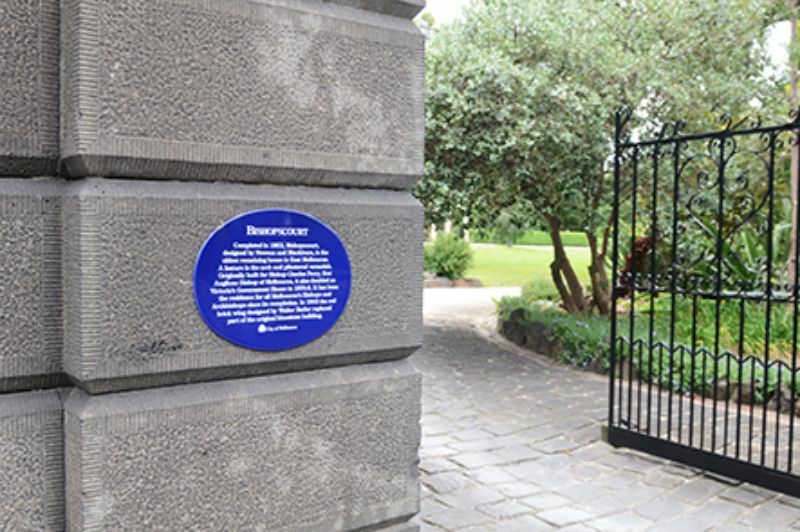 Founded in 1848, Bishopscourt is one of the oldest properties in East Melbourne and is the official residence of the Anglican Archbishop of Melbourne. 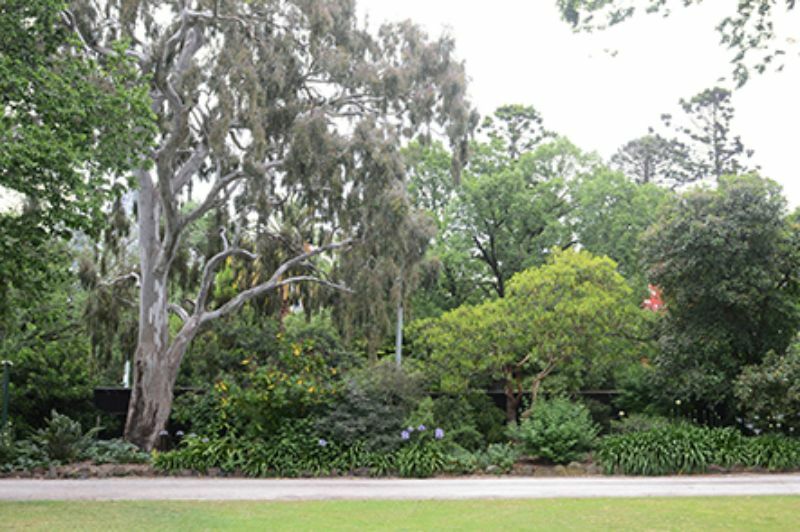 It is the last intact urban estate within the City of Melbourne. 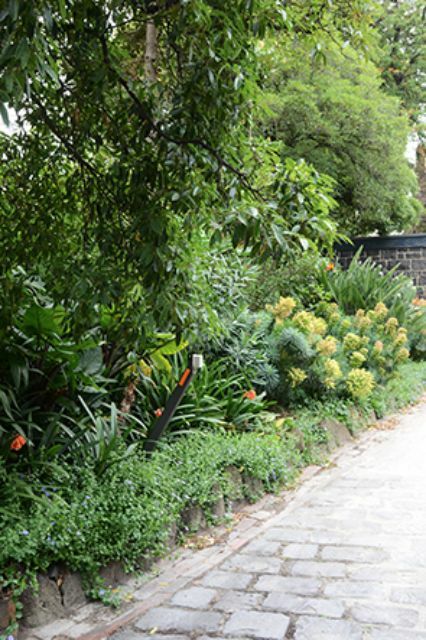 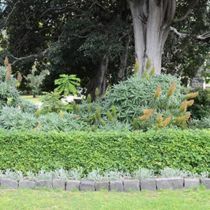 The garden was designed in the Gardenesque style and features extensive plantings, sweeping lawns and fruit and vegetables all interwoven with a series of serpentine paths. 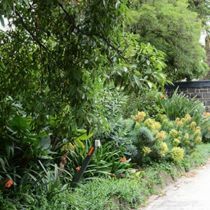 Resident bishops and archbishops and their families have all enjoyed the garden and made their own contributions to it over the decades. 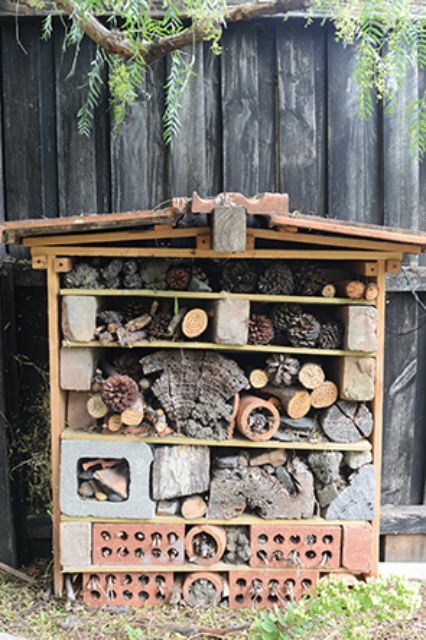 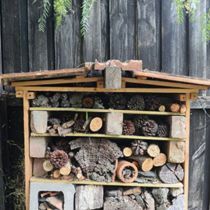 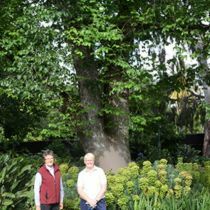 In the last 16 years, a dedicated group of volunteers have established regular working bees and made massive efforts to restore and breathe new life into this beautiful garden. 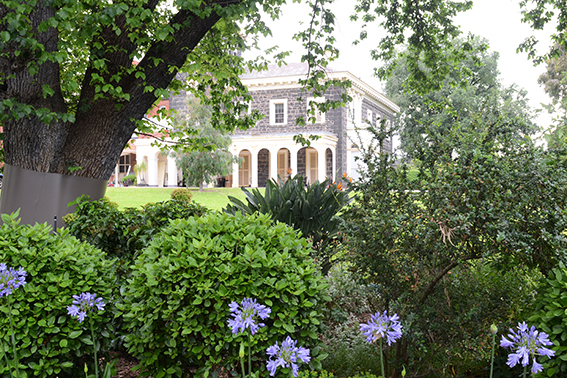 Original paths have been uncovered, garden beds rejuvenated and replanted and significant trees preserved. 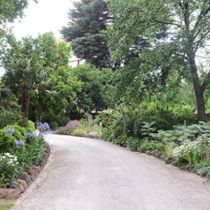 The garden continues to be maintained by volunteers today. 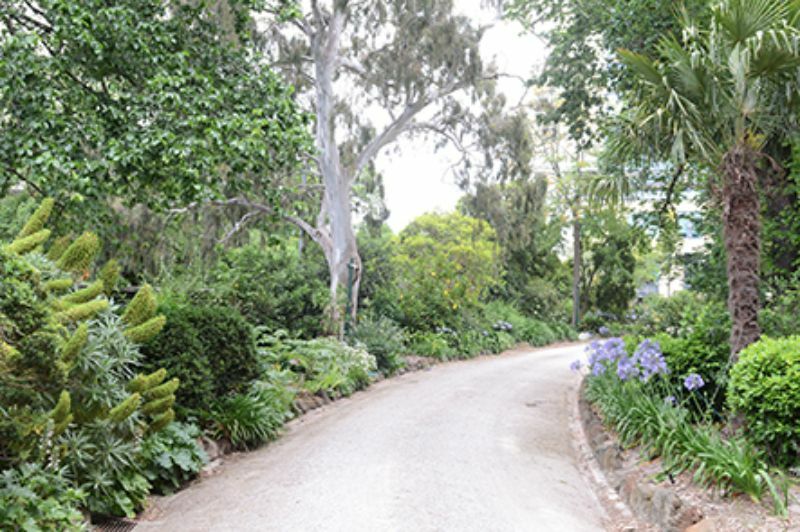 The house and garden are both included on the Victorian Heritage Register and 18 trees are included on the citation. 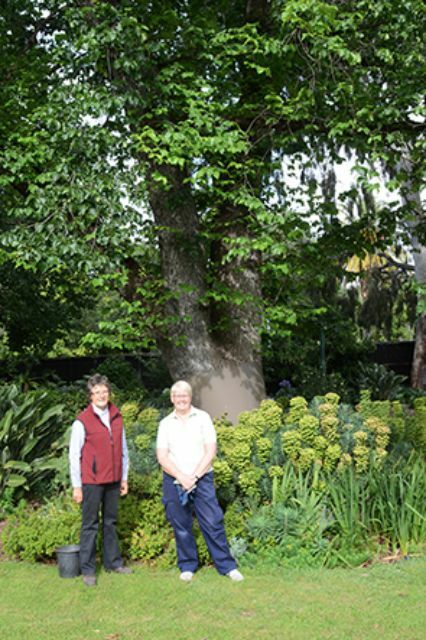 Nine of the major trees are also on the City of Melbourne’s register of exceptional trees. 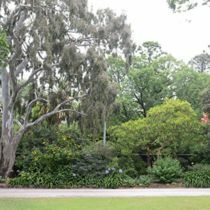 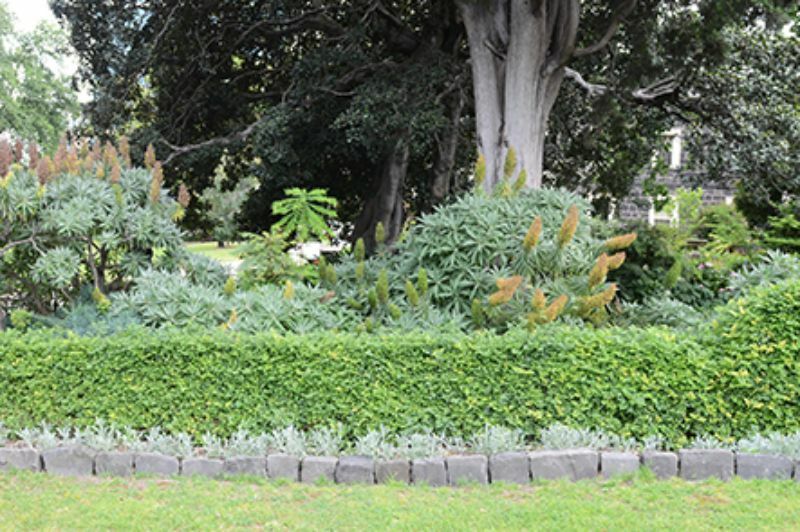 These include two English Elms (Ulmus procera), the Port Jackson Fig (Ficus rubiginosa), the Italian Cypress (Cupressus sempervirens), two Monterey Cypresses (Cupressus macrocarpa), the River Red Gum (Eucalyptus camaldulensis), and two Dutch Elms (Ulmus x hollandica), some of which were planted in the late 1800s. 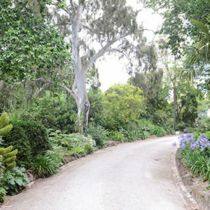 There will be tea and coffee, a sausage sizzle and plant sales at the garden opening. 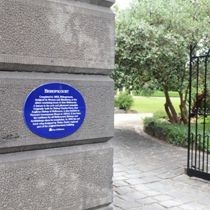 Proceeds from the opening will go towards the ongoing maintenance and upkeep of the garden at Bishopscourt.